Thompson and Little, Inc. has been manufacturing and installing custom fabrication and millwork for over 25 years. 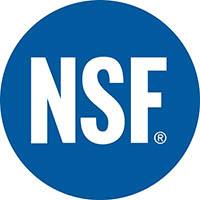 We hold the NSF certification mark, which is an industry recognized certification for the manufacturing of custom fabrication. With the capability of manufacturing any custom item you will find in a commercial kitchen, we are your source for quality fabrication. Please contact us today to discuss your stainless steel custom fabrication and millwork needs. If you need the fabrication or counters delivered and installed, just let us know. Click here to download the PDF of our latest fabrication catalog.